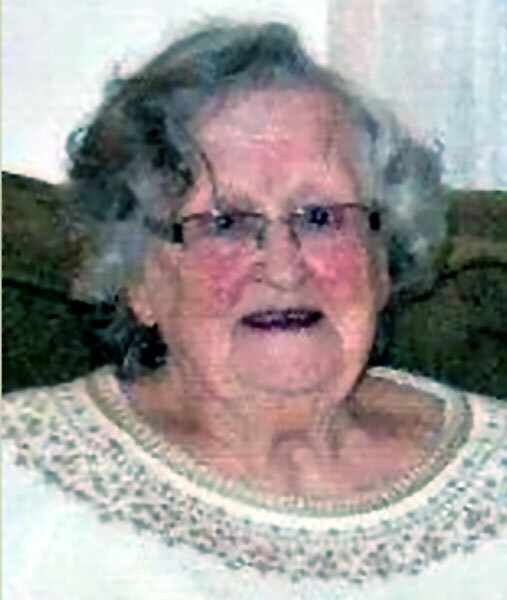 EDITH ALICE CARDELEIN YOUNGSTOWN - Edith Alice Cardelein, of the city’s west side, passed away Sunday morning, Aug. 6, 2017, at St. Elizabeth Health Center in Youngstown after a brief illness, just days short of her 94th birthday. Edith was born Aug. 11, 1923, in Buckinghamshire, England, a daughter of the late Reginald and Edith Line, and came to America and Youngstown from Nottingham as an English war bride aboard the Queen Mary in 1945. While in England she worked for the Royal Air Force and also in a bombsight factory. Alice, as she often went by, dedicated her adult life to being a homemaker who enjoyed raising and caring for her family. She also enjoyed knitting, and walks in Mill Creek Park with her husband. She was an avid swimmer, was a member of the YMCA and YWCA, and was a member of the British War Brides Club in Youngstown. Alice leaves her daughter, Lois (Steve) Nyers of Youngstown; her grandson, Steven (Kelli) Nyers of Columbiana; her granddaughter, Wendy (Todd) Potts of Boardman; and her great-grandchildren, Alexander, Mary Alice, Lauren, and Gavin. Her husband of 60 years, Lewis J. Cardelein, whom she married Oct. 14, 1943, died Dec. 16, 2003. A son, Lewis J. Cardelein Jr., and a brother, Stan Line, also preceded her in death. Family and friends may call from 5 to 7 p.m., Thursday, Aug. 10, at Kinnick Funeral Home, 477 N. Meridian Road, Youngstown. Funeral services will take place at 10 a.m., Friday, Aug. 11, at the funeral home, and interment will follow at Green Haven Memorial Gardens in Austintown. Please visit kinnickfuneralhome.com to view and share this obituary, and to send condolences online to Alice’s family. Please share your memories of Edith Alice.